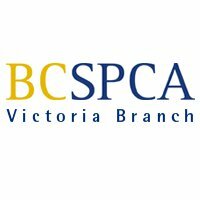 Thank you BC SPCA and definitely the Victoria Branch for all the amazing work you do for animals. I adopted Bobo a senior English Bulldog from the Victoria Branch recently. Please check out your local shelter when considering adding an animal to your family. They might have the perfect best friend for you! Lisa is a good friend of my sister who is passionate about Cocker Spaniels. She has done some amazing work rescuing and rehoming Cocker Spaniels here in Victoria. Their Mission is Dedicated to the rescue and placement of abused, discarded and abandond Cocker Spaniels, taking them under our wings, taking them out of harm's way and helping them find their way home. Located in Victoria, BC, Please Check out Lisa's non-profit rescue for Cocker Spaniels and spread the word to anyone that you know can help or interested in adopting. Dr. Jennifer Chan at the Hillside Vet. Hospital. Victoria Bulldog Walks for a deal! At the Want A Cookie Co. our mission is to provide your dog and dogs around the world with a Healthy, All Natural Dog Treat. Our Dog Cookies contain No Wheat, No Corn and No Sugar. Plus our Oven Baked Dog Cookies are made with Flax, Omega 3. and Garlic, all of which provide amazing health benefits. You can also order them online. Monster & Canon had a photo shoot with UnleashedPetPortraits. I'm not sure who is more tired my dogs or me. I know it was totally worth it and I can't wait to see all the amazing pictures. You all should have this done at least once.